Deck the beautiful relation you share with your siblings and dear ones by sending them this Astonishing Loads with Love on Raksha Bandhan, that comes with a free Rakhi, Roli Tilak and Chawal. 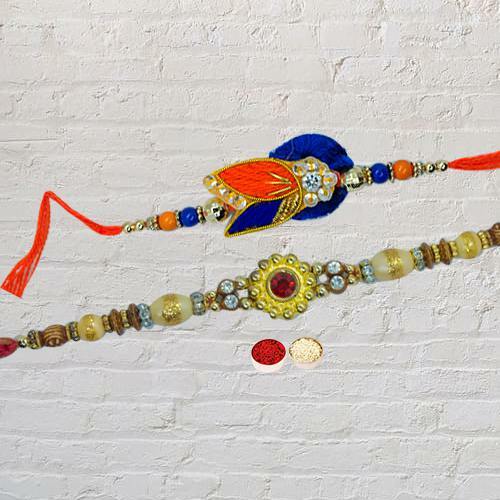 This is Nicely Gift Wrapped Delicate 2 Pcs Rakhi Set for your brother with Rakhi Set. The Design may alter a little.